Whether you're planning a honeymoon trip to the mountains or you're just looking for things to for Valentine's Day, there's no doubt you'll want to find some romantic, fun activities for your Gatlinburg vacation. To make incredible memories with your sweetheart in the Smoky Mountains, check out our list of the 20 best things to do in Gatlinburg for couples! From seeing beautiful mountain views to fun attractions to incredible new experiences, this guide can help your romantic vacation be even better! 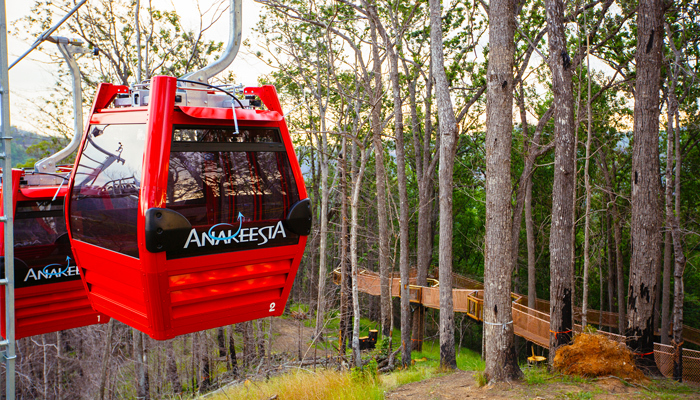 The Anakeesta chondola (a combination of a chairlift and a gondola) takes you to the idyllic Firefly Village on the top of Anakeesta Mountain. Here, you'll find fun, outdoor adventures like the canopy walk, a zip line, and several overlooks with mountain views. Imagine taking a romantic ride in your own private chondola with the person who matters most! There's nothing quite like gliding along the ice with your sweetheart, so be sure to check out Ober Ski Mountain's year-round ice rink. Even if you aren't great at skating, you can always enjoy a nice laugh with your partner as you build up your confidence on the ice. For another romantic activity, you can ride the aerial tramway from Downtown Gatlinburg to Ober Ski Mountain that rests on the slopes of nearby Mt. Harrison. A guided horseback ride in Gatlinburg is a rustic experience that's perfect for reconnecting with nature and each other. Several stables in Gatlinburg offer guided horseback rides on trails inside the Great Smoky Mountains National Park, so it's also a great way to explore the natural wonders of the Smokies as a couple. Sugarlands Riding Stables – Offers guided tours of the beautiful Sugarlands Valley area of the Great Smoky Mountains National Park. Smoky Mountain Riding Stables – Based on Gatlinburg's East Parkway, this riding stable operates on trails near the historic Greenbrier community in the Smoky Mountains. Cades Cove Riding Stables – Located in Cades Cove, this riding stable offers guided trips on trails in the historic Cades Cove region. For a more rugged experience on the trails, ATV tours are another popular couples activity in the Smoky Mountains. Why not enjoy a romantic day of wine tastings and tours during your trip? The Smoky Mountains region is home to several wineries in both Gatlinburg and Pigeon Forge. Be sure to try some local favorites like Muscadine wine or a crisp strawberry wine. For a walk on the wild side, you can always tour the moonshine and whiskey distilleries in Gatlinburg. Moonshine is a spirit that has deep roots in the culture of the Smoky Mountains so touring a local distillery is a great way to get a taste of the local culture. In addition to learning how moonshine is made, you can also try samples of the spirit for only $5. Additionally, the Ole Smoky Moonshine Holler and Sugarlands Distiling Company brings in some excellent live music! As romantic as an old-timey Ferris Wheel can be, you might want to check out the gigantic, 200 Ft. tall Great Smoky Mountain Wheel at The Island in Pigeon Forge. This towering ride offers an impressive panoramic view of the mountains by day and a stunning view of the twinkling city lights at night. After you check out the wheel, be sure to stop by The Island's excellent fountain show to see controlled fountains synchronized with music and lights. For some heart-pounding adventure with your sweetheart, many couples choose to spend a day in the mountains on a canopy zip line tour or by riding a mountain coaster. Anakeesta Gatlinburg even offers a "dueling zip line" ride, so you can challenge your partner to a race! Additionally, Rowdy Bear Mountain is a mountain coaster near Downtown Gatlinburg that offers a two-person coaster ride. If you're a couple that's into cheesy fun, it's hard to beat taking an old-timey photograph in Downtown Gatlinburg, TN! The main strip of Gatlinburg is full of photo studios that offer props and costumes for making a delightful keepsake. Whether you want to pose like an outlaw with a pistol and whiskey bottle in hand or dress up as a classic Bonnie and Clyde, these unique photo studios can give you an experience and a photo you won't soon forget! Located in the heart of Downtown Gatlinburg, The Space Needle is a 407 ft. observation tower that offers panoramic views of Gatlinburg and its surrounding mountains. Whether you want to see the beautiful colors of the mountains in fall or you want to marvel at the glittering lights of Gatlinburg, you'll love holding your dear one close while you take in this marvelous view. A nice way to get a free view of Gatlinburg is to check out the Gatlinburg Scenic Overlook on the Gatlinburg Bypass road. There's nothing like a magic, hypnosis, or illusion show to add some mystery and awe back into your world and your relationship. Gatlinburg is home to some excellent performances at the Iris Theater and the Smoky Mountain Resort. These intimate performances feature plenty of audience participation and lots of hilarious entertainment. 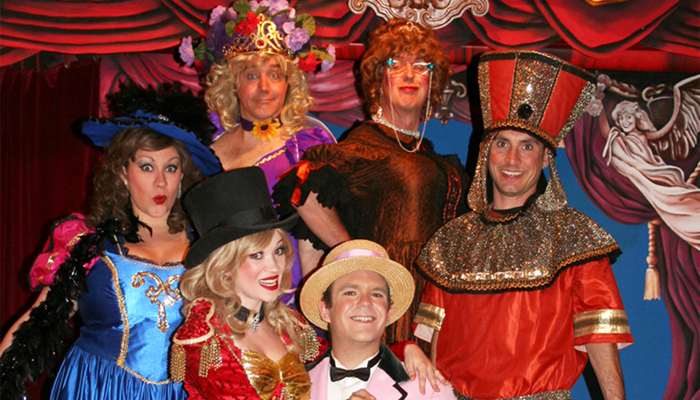 For over 40 years, the Sweet Fanny Adams Theater has brought its delightful brand of musical comedy to Downtown Gatlinburg. This unique live show is perfect for couples and every show they perform is originally written, so you won't see a show like it anywhere else. In fact, this creative theater puts out two new shows every year, so you can always count on a new experience every time you visit. Nothing gets your heart pumping like rafting on a wild river in the Smokies. From Memorial Day to Labor Day, you can book a guided whitewater rafting trip on the Pigeon River. This action-packed whitewater destination features class III and class IV rapids, so you can count on having a thrilling trip on the river with your special someone. Grab a basket, some tasty snacks, and a bottle of local wine in town and head to the Smoky Mountains for a romantic picnic surrounded by nature. 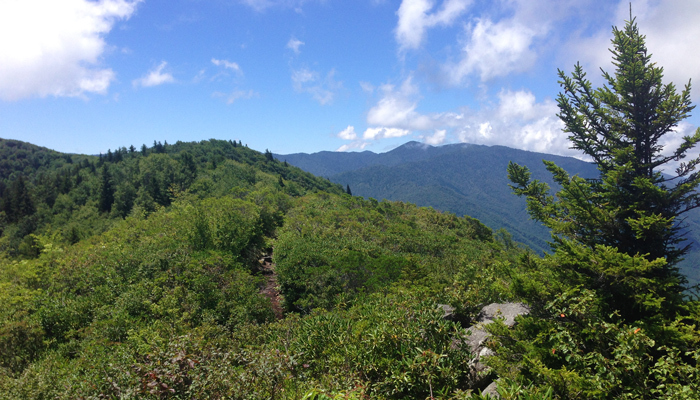 The nearby Chimney Tops picnic area is a great option for couples near Gatlinburg. Hitting the trails with your sweetheart is the perfect way to enjoy a romantic adventure in the Smokies. For a rewarding physical challenge, the 11-mile round trip hike on the Alum Cave Trail to Mt. LeConte is a great option. If you'd like a more laidback hiking experience, the beautiful Porter's Creek Trail in the Greenbrier area of the park is a great place to find wildflowers and explore a historic homestead. Better yet, you can always set up a hammock and just relax in a peaceful spot in the Great Smoky Mountains National Park. With stunning mountain views and picturesque historic cabins, Cades Cove is arguably one of the most romantic places in the Smoky Mountains. While most visitors tour the 11-mile Cades Cove loop from their car, biking the loop is another way to enjoy the sights of Cades Cove. Hourly bike rentals are available at the Cades Cove visitor center if you and your sweetheart want to see the valley up close. 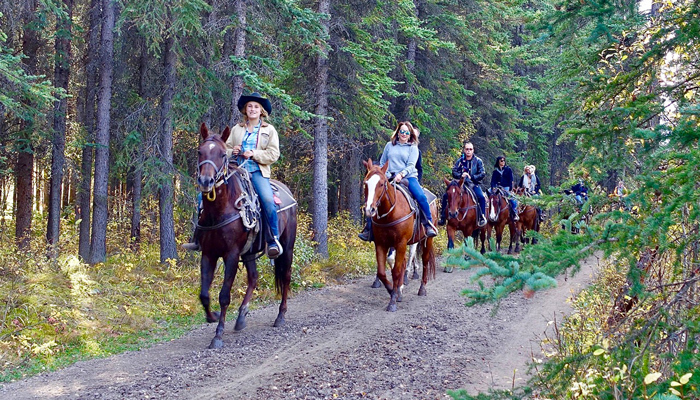 Additionally, between early May and late September, the loop road is closed to vehicle traffic before 10 AM on Saturdays and Wednesdays, so these days are ideal for enjoying the valley without the crowds. With roller coasters, live music, and authentic mountain crafts, this Smoky Mountain theme park is a top destination for families and couples. Whether you're riding heart-pounding rides like Lighting Rod or just enjoying Dollywood's heavenly cinnamon rolls, this attraction truly has something for everyone. This salon also offers a couples mud treatment if you'd like to try something new! There's no better way to finish a perfect day in the mountains of Tennessee then to catch a stunning sunset from Newfound Gap. This impressive overlook in the Smokies sits at an elevation of 5,049 FT, so you can enjoy a beautiful view that stretches on for miles and miles. 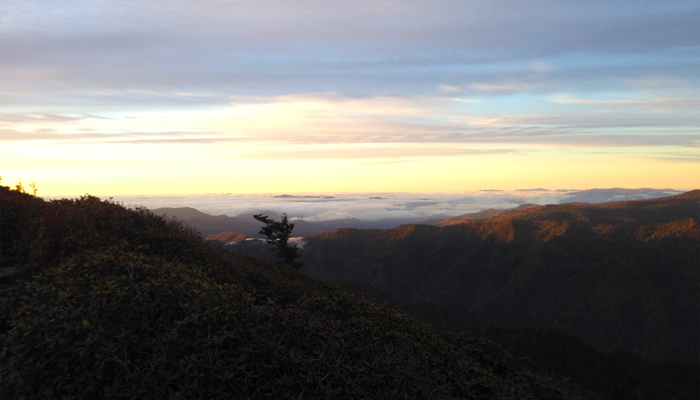 Check out our guide for finding the best sunsets in the Smokies! 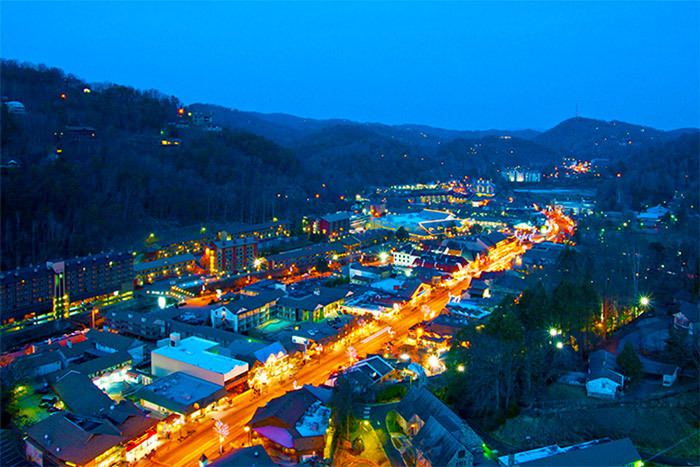 Before calling it a night, head into Downtown Gatlinburg for a delicious dinner at one of these romantic restaurants. Each of these upscale restaurants has low lighting and a relaxing atmosphere to make your couple's night out truly special. For more romantic dining options, check out our guide on the best Gatlinburg Restaurants for couples! Before another day of adventure in the Smokies, you can return to your cozy cabin in the mountains to spend some quality time with the one who matters most. 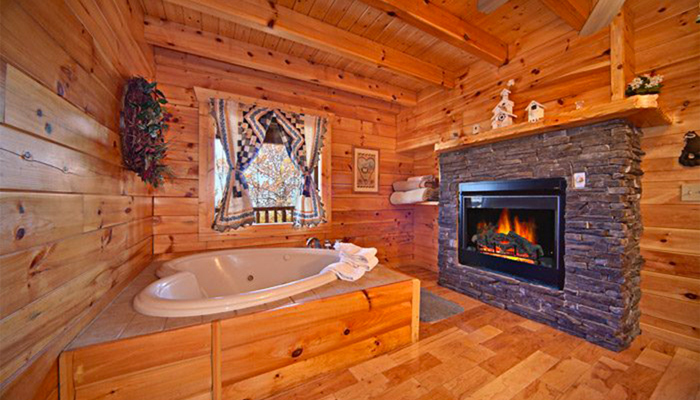 With excellent amenities like a hot tub, jacuzzi, a fireplace, and a deck with a view, a luxurious cabin in Gatlinburg is perfect for enjoying a romantic evening in the Smokies! In addition to these couples' activities in the Smokies, you may want to check out our list of the most romantic places in Gatlinburg! We'd love to know, what's your favorite couples activity in Gatlinburg? How many of these things have you done? We'd love to hear your thoughts in our comments section!